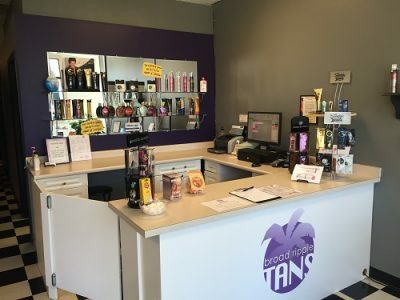 ← Come Check Out the Quality Tanning Deals at Broad Ripple Tans! Sunscreen is an imperative part of outdoor, summertime activity. Our skin requires a specific degree of defense against harmful UV rays that come from the sun. Without sun protection, skin is susceptible to burning, rash, irritation, reddening, sensitivity, discoloration, moral formation, freckles, and more. Other than wearing protective clothing that covers the skin or carrying around a large shade umbrella, your best option is to wear a high-quality sunscreen. It is common for people to opt out of using sun protection lotion because they want to get a tan, however this is not worth the risk; especially because skin still tends even with sunscreen on. To understand why, continue reading to learn more about sunscreen and what it does. Sun protection lotion, or sunscreen, comes in many varieties. However, all types are formulated with two main constituents: an emulsion and a primary active ingredient. There usually several active ingredients in a sunscreen product. The active ingredient is usually the constituent that actually protects the skin from UV sunrays. These come in two forms as well; the two main categories of active ingredients in sun protection lotion are ultraviolet absorbers and ultraviolet reflectors. Absorbers are chemicals (also known as organic because they contain carbon atoms) that soak up UV radiation from the sun upon contact with skin by converting it to lower levels of heat. Reflectors do just the opposite. Rather than absorbing the UV radiation, they reflect sun rays. They are mostly formulated using common oxides, like zinc oxide and titanium dioxide, which work well to scatter ultraviolet rays. Emulsions are the constituents that hold the active ingredients and helps bind them to skin. These are often in the form of lotions, creams, milks, ointments, foams, or gels. The basis for most emulsions are oil and water, and then with the addition of other elements, they are customized for the market. Emulsions are important for sunscreens because they increase shelf life since they were preservatives, but they are also the reason behind the lovely fragrances and textures sunscreens offer. Some sunscreens are targeted more for UVA radiation, while others are targeted more towards UVB radiation. Broad-spectrum sunscreen is often recommended as being the best product for skin protection in the sun. These products are specially designed to protect against both UVB and UVA radiation. “SPF” stands for” sun protection factor”, and is measured numerically. The higher the SPF value, the less son will get through to your skin. A sunscreen with a 30 SPF means that one-thirtieth (or 3.3%) of UV rays actually passes through the skin. Keep in mind that 30 SPF and 50 SPF is only a 1.3% difference in protection. As an example, if your skin burns in the sun after 10 minutes of protection on it, and SPF 30 sunscreen will protect your skin from burning in the sun for 300 minutes (or 30 times longer). So whether your skin is prone to burning in the sun or not, it is better to use a high-value for best results. Visit Our Broad Ripple Tanning Salon! This entry was posted in Skin Care and tagged broad spectrum sunscreen, how sunscreen works, sunscreen facts, tanning facts sunscreen, what is SPF suncreen. Bookmark the permalink.